Today was our blessing of the animals day at church. God knows, Frank needs it! We asked for a special blessing this week to cure his breath! It smells like he ate a basket of rotten old fishes! The blessing of the animals (or St. Francis Day) is always a nice service. Chaotic, yes, but good chaotic. The music is more modern (which I like), and everybody is in such a happy mood. Plus, we get Brother John preaching, and his sermons are always full of warmth and humor. It was a good service that soothed a stressed and tired soul, just when I needed it most. We're also celebrating Luke's birthday today. Last night, Luke had four of his buddies over for pizza, a sleepover, and all the Xbox they could handle. It was a rowdy evening, but the boys were very well behaved, if not a little noisy. Today, we'll take Luke to Pen's Oriental Restaurant for some Hong Kong style fillet mignon (his favorite). May have to indulge in some local sushi (local?!) with Eddie today as well. 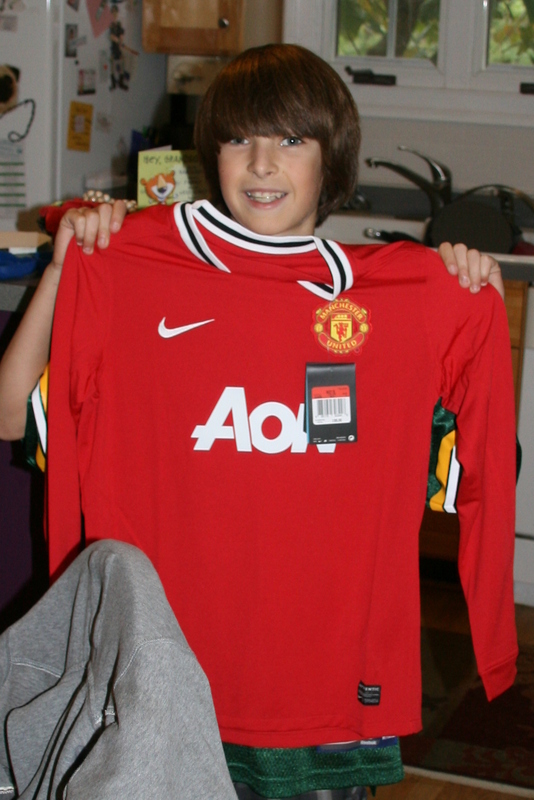 We just opened birthday presents, and Luke scored big. Becky and I bought him a one month membership to a Parkour gym in Sterling. He and his buddy, Ronan, will enjoy bruising themselves, I'm sure. From Nana, he got a few excellent futbol jerseys, and from Grandpa and Grandma Duke, Uncle Chuck and Tio Adolfo, he got an awesome B.J. 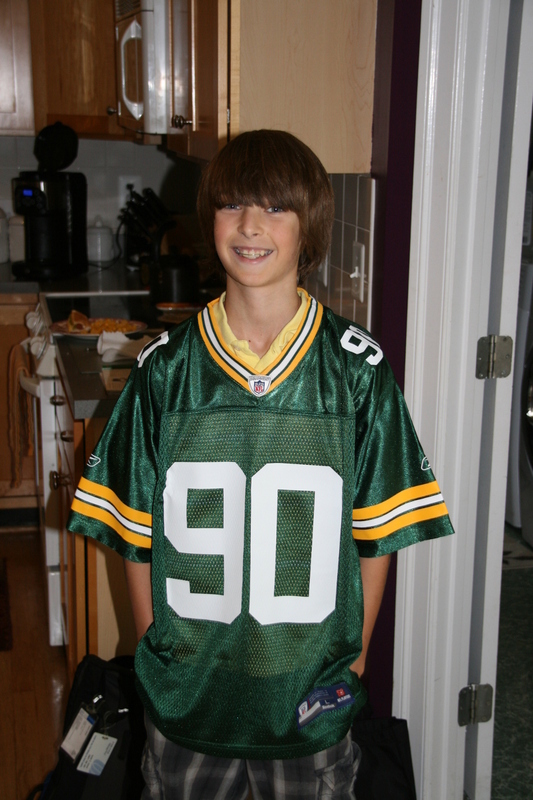 Raji Packer's jersey. 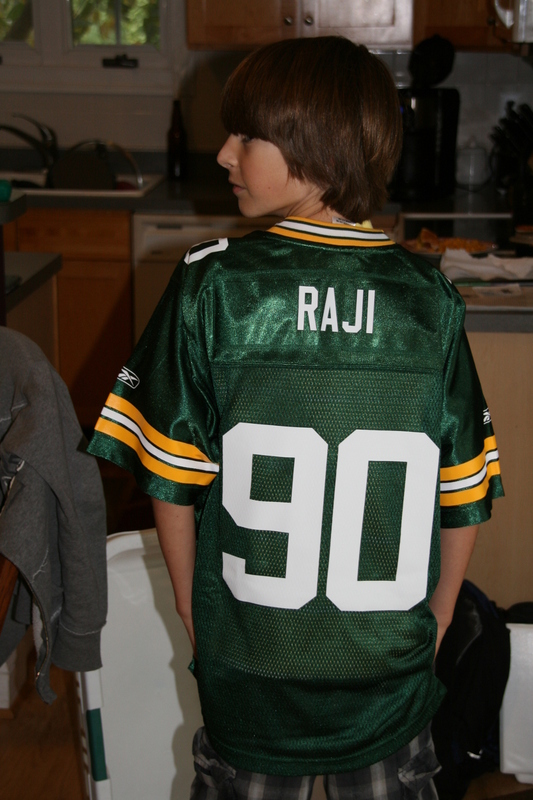 Raji is one of Luke's favorite players. Last year, Raji, the nose tackle, made an unlikely interception against the Bears, and Luke just loved his end zone dance. With the Amazon money from all the LeDucs and Diazes (enablers! 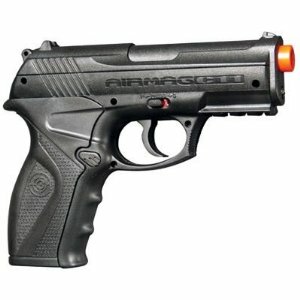 ), Luke exercised his 2nd Amendment rights to purchase a CO2 powered semi-automatic Crosman C11 Airmag BB gun. God help us all. We'll be prying that from his cold dead fingers. It sounds like Luke made quite a haul on his birthday. 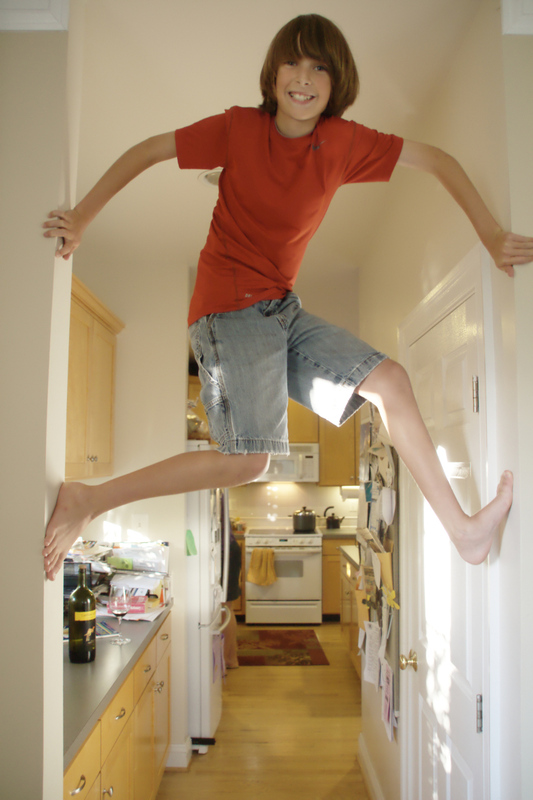 I ;ove that he climbs the walls. Maybe the gym membership will help with all of that energy.